Health store Holland & Barrett has launched a range of own-brand vegan ice-cream. The company, which has 715 stores across the UK, says it wants to offer a vegan low-calorie option with its range which comes in three flavors - peanut butter, passionfruit, and salted caramel. The peanut butter and passionfruit options are made from a coconut base, and the salted caramel flavor an avocado one. "Avocado and coconut act as the perfect alternatives to dairy in ice cream, bringing a host of health benefits to the range," Holland & Barrett nutritionist, Amy Tolofari, told The Grocer. "Avocado's buttery texture means you get the same creamy consistency as you would expect from normal ice-cream, with none of the dairy." 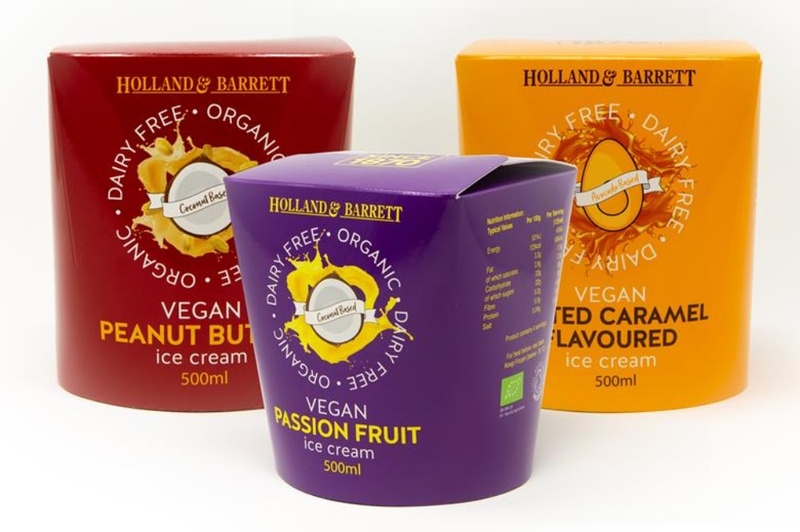 The ice-cream, which is available in all Holland & Barrett outlets, comes in a package featuring a sealable top rather than a separate lid in a bid to reduce waste. This launch is one of multiple steps the brand has taken to embrace the growing vegan market. Last year, it announced plans to open a vegan-only store 'in the not too distant future'. 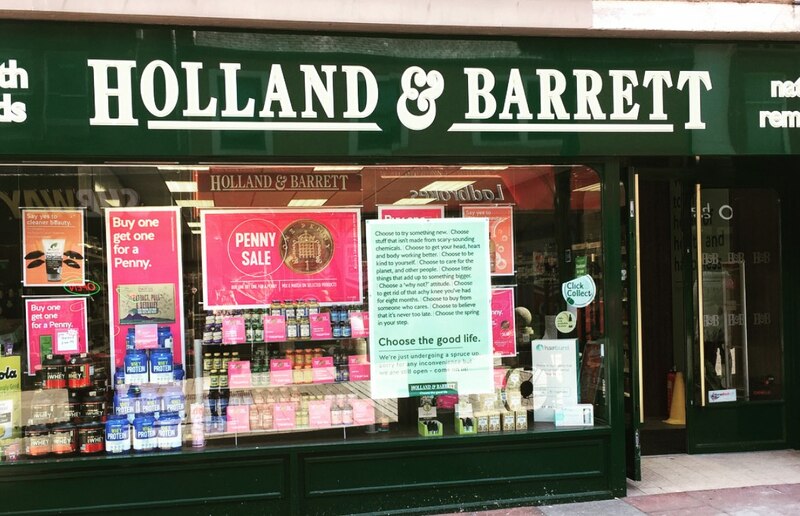 Emma Cockerill, Holland & Barrett's Director of Product Development, said the company is 'open to working with brands of all sizes' - and will look at listing products either online, in bigger stores, or across all stores. "We've long been committed to a plant-based lifestyle even offering members of the Vegan Society a discount in store. And with the growing amount of vegans in the UK comes the need for an expanded range of great products for them to choose from," she added.